Some airspace over Northern Ireland and Scotland were set to close because of volcanic ash. London, England (CNN) -- Ash from an Icelandic volcano shut down airports in the United Kingdom and Ireland for a second day Wednesday, causing disruptions to hundreds of passengers. Glasgow airport in Scotland closed at 7 a.m. (2 a.m. ET), and both main airports in Belfast, Northern Ireland, were due to close at 1 p.m. (8 a.m. 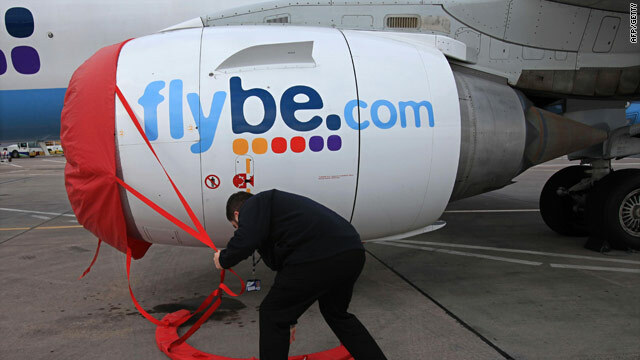 ET), Britain's Civil Aviation Authority said. The restrictions were due to last until 7 p.m. (2 p.m. ET) and included nine other airports in Scotland and Northern Ireland, the CAA said. In Ireland, the airports in Dublin and three other cities were closed to flights "until further notice," the Irish Aviation Authority said. The IAA lifted earlier restrictions on other airports, including Shannon, but said they could be reimposed later. The volcano, which erupted last month, has been expelling denser and coarser ash higher into the atmosphere since Tuesday afternoon, the IAA said. That ash is being carried down from Iceland toward Ireland and the United Kingdom, causing the flight problems, it said. Airports in Ireland, Northern Ireland, and western Scotland were shut Tuesday morning because of the ash. Flights between North America and Europe are still permitted to fly over the ash cloud at higher altitudes, the IAA said. "The IAA appreciates the difficulties facing passengers and airlines at this time," it said in a statement. "Decisions are taken solely on the grounds of safety." It urged passengers to contact their airlines for the latest information on their flights. 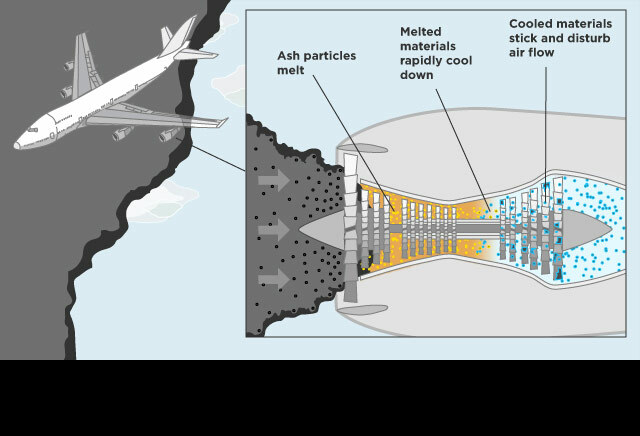 Volcanic ash is a serious hazard to aircraft, reducing visibility, damaging flight controls, and ultimately causing jet engines to fail. It is the first time the ash had caused problems for British and Irish airspace since last month, when it forced the shutdown of airports across the European continent for six days and stranded tens of thousands of passengers around the world. The latest delays came one day after European Union transport ministers met in Brussels to discuss ways of improving coordination between member states in the event of another volcanic ash crisis. Ministers agreed to work on a series of measure to improve future cooperation, according to a press release. These include working towards establishing a "single European regulator for a single European sky" and working with national authorities to draw up guidance to ensure uniform application of rules for passengers. EU Transport Commissioner Siim Kallas said: "Let's be clear about one thing. This is going to continue to happen. It might be next week. It might be in 20 years. But it will happen again; and volcanoes do not obey rules. So we need to be faster and more flexible in our response."